Rush County (pop. 17,392) is east of Shelby County. It reached its peak population of 20,393 in 1960. 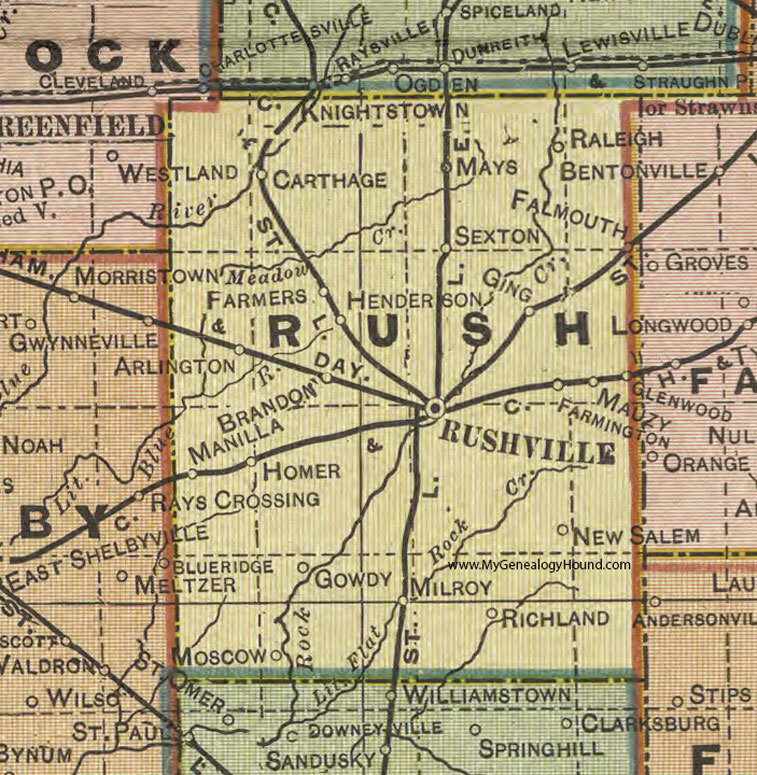 The only other Rush County is in Kansas. Both were named for Dr. Benjamin Rush (1745-1813) of Philadelphia, a signer of the Declaration of Independence. 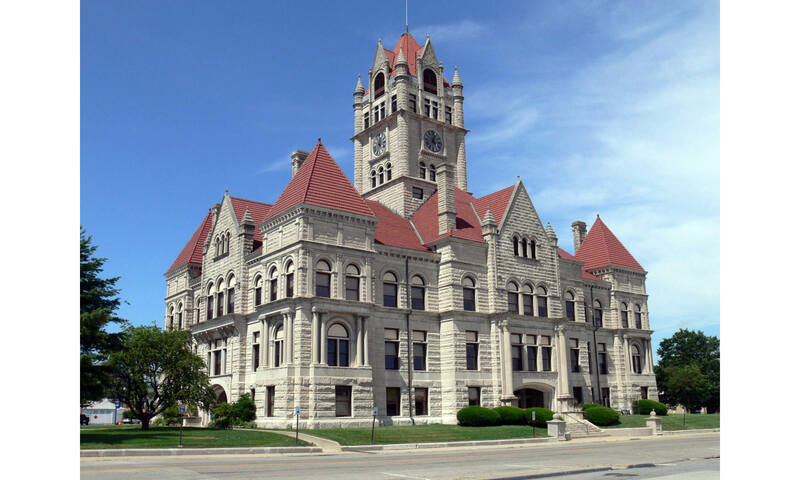 The county seat of Rush County is the city of Rushville (pop. 6,341). 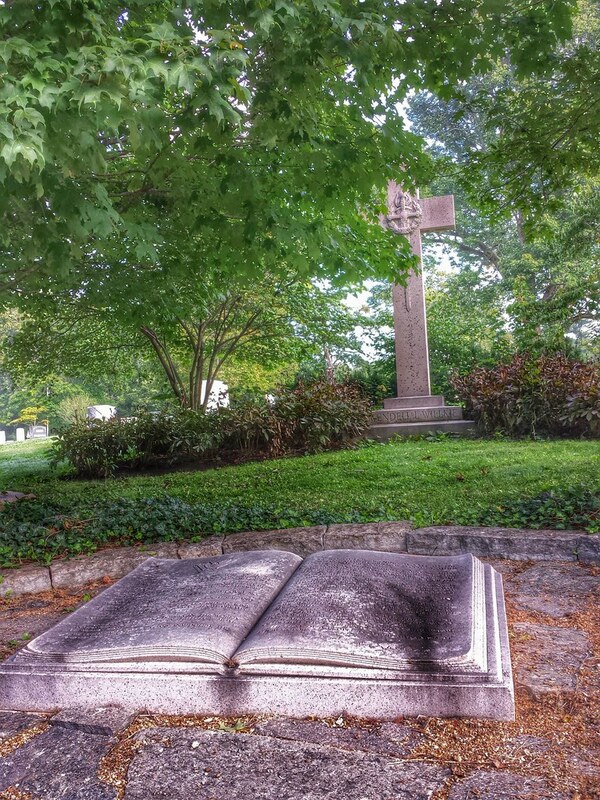 Wendell Wilkie (1892-1944) had his 1940 presidential campaign headquarters in Rushville (his wife’s hometown), and he is buried in Rushville’s East Hill Cemetery. The John K. Gowdy House (1888) is the home of the Rush County Historical Society Museum. The Riverside Park Amphitheatre has free outdoor concerts in the summer. 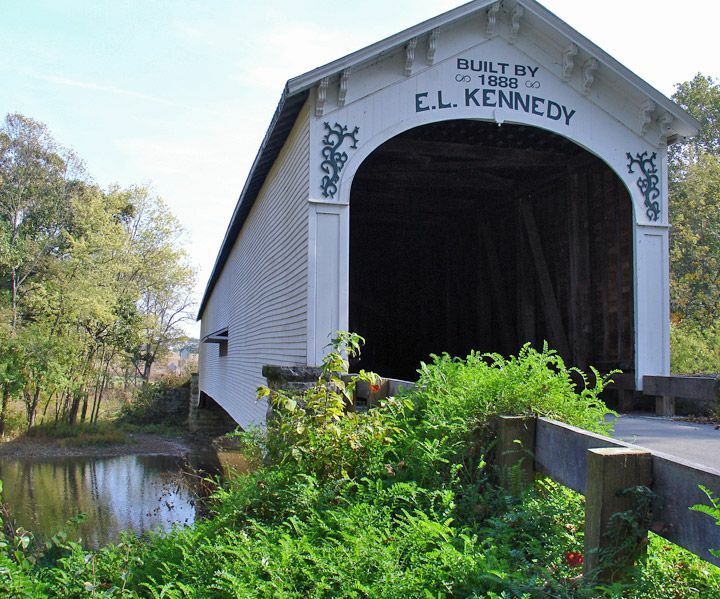 Rural Rush County has several 19th-century covered bridges. 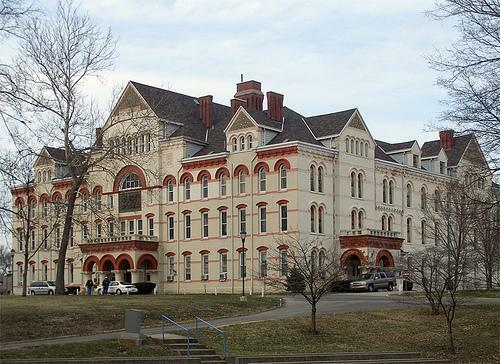 The former Indiana Soldiers’ and Sailors’ Children’s Home (1878) is north of Rushville. The land was turned over to the Indiana National Guard in 2009. Soldiers’ orphans attended the school. This entry was posted in Indiana and tagged Rushville, Wendell Wilkie.